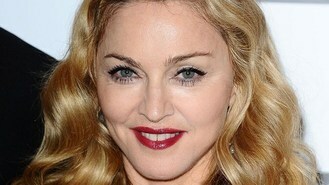 Madonna's MDNA has gone straight in at number one to give the singer her 12th UK album chart-topper. The feat means the singer has beaten Elvis Presley's record of 11 chart-topping albums, making her the most successful solo artist ever in UK album charts, said the Official Charts Company. The album's success will be welcome news for the singer, whose first single from MDNA, Give Me All Your Luvin', peaked at only number 37 when it was released in February, making it one of her biggest UK chart flops. David Guetta held on to the number two spot with his album Nothing But The Beat. Last week's number one album, Paul Weller's Sonik Kicks, dropped to number 10. Katy Perry's album Teenage Dream moved up 28 places in the chart to number six despite being in the chart for 83 weeks. In the singles chart, Chris Brown's new single, Turn Up the Music, debuted at number one, knocking Katy Perry off the top spot. Perry slipped to number four with Part Of Me. It is Brown's most successful single in the UK. He reached number two in 2006 with Run It!